A USATF-LI GRAND PRIX TEAM & CHAMPIONSHIP RACE - ALL ARE WELCOME! Register by Midnight 7/14 and get YOUR name on YOUR BIB! USATF Certified & Sanctioned. 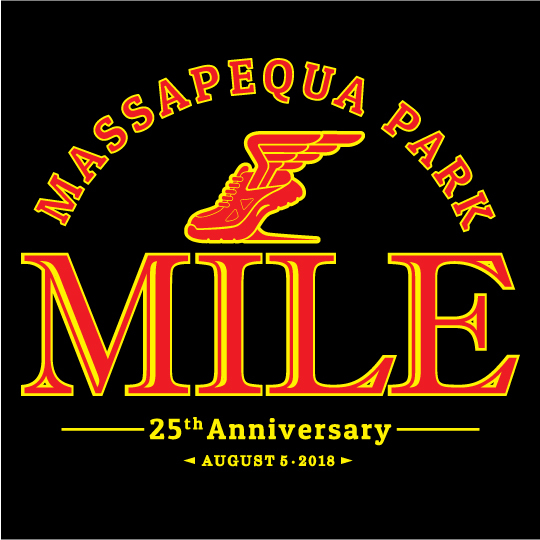 Start is one mile north of registration on Lake Shore Drive and finishing on Park & Clark Boulevard in Massapequa Park Village. THIS IS A USATF-LI TEAM & GRAND PRIX RACE! PLEASE NOTE AS PER USATF RULES: BABY JOGGERS, STROLLERS, BICYCLES, SKATES & PETS ARE NOT PERMITTED ON THE COURSE. FINISH TIMES WILL NOT BE ISSUED TO ANYONE VIOLATING THIS RULE. Thank You. Register by Midnight 7/14 for YOUR NAME on YOUR BIB! Numbers and Shirts may be picked up on race day starting at 7:30AM until 15 minutes prior to start of your heat. 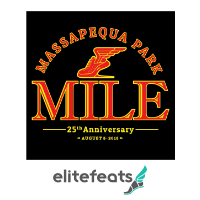 Shirts to all mile entrants!